RS Hydro have an extensive range of portable, single parameter handheld and multiparameter water quality meters for sale and rental. We also supply a range of water quality test kits. Our manufacturers include Thermo Scientific, Eutech and Eureka. 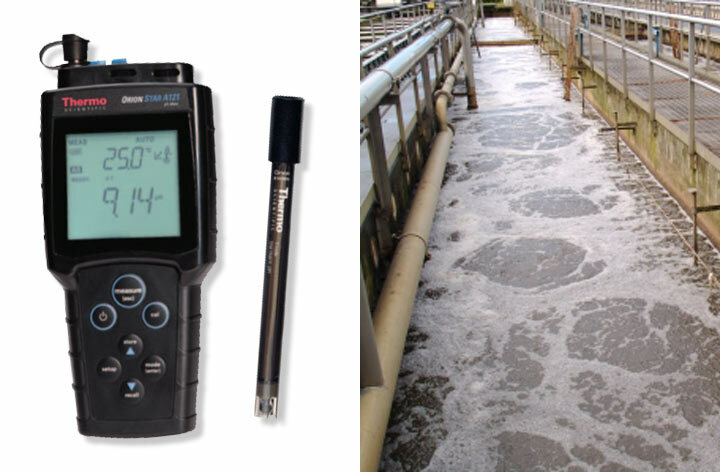 As with all water quality instruments supplied by RS Hydro we offer only the highest levels of accuracy and reliability. We are happy to discuss your requirements with you so call us now on +44(0)1527 882060 for a discussion with one of our engineers. You can also fill out the small form at the lower left of any page and we will call you right back. 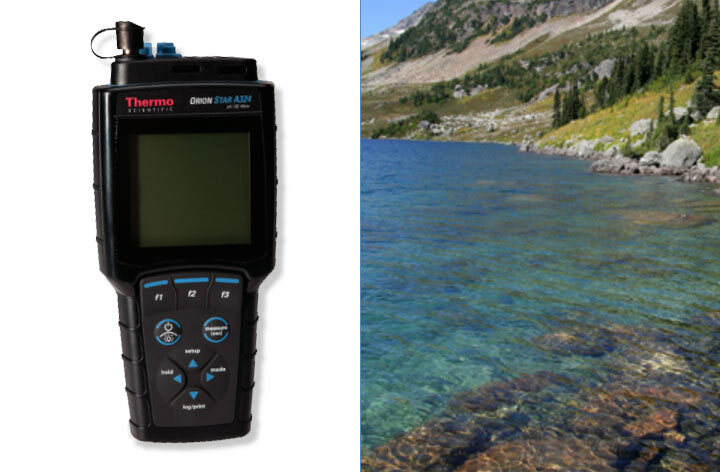 As well as single parameter water quality meters, we also provide a range of handheld multiparameter water quality meters and probes from Thermo Scientific. 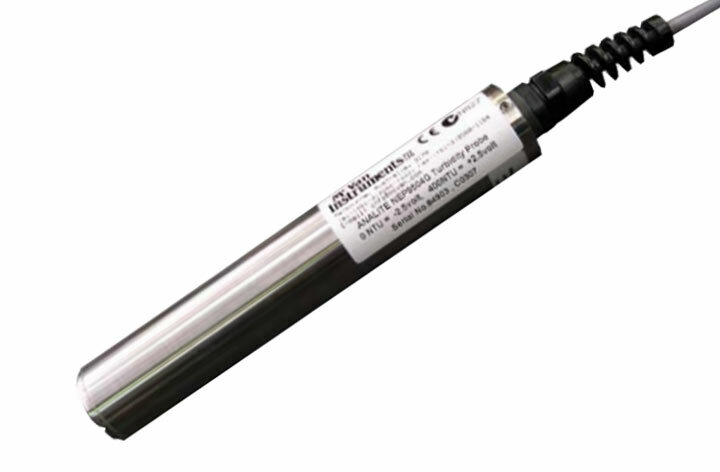 Display pH, ISE, ORP, mV, conductivity, resistivity, TDS, salinity, dissolved oxygen and temperature readings simultaneously. We have a wide range of handheld turbidity meters from Thermo Scientific and McVan. REDOX/ORP potential is used to monitor chemical reactions, to quantify ion activity, or to determine the oxidizing or reducing properties of a solution. 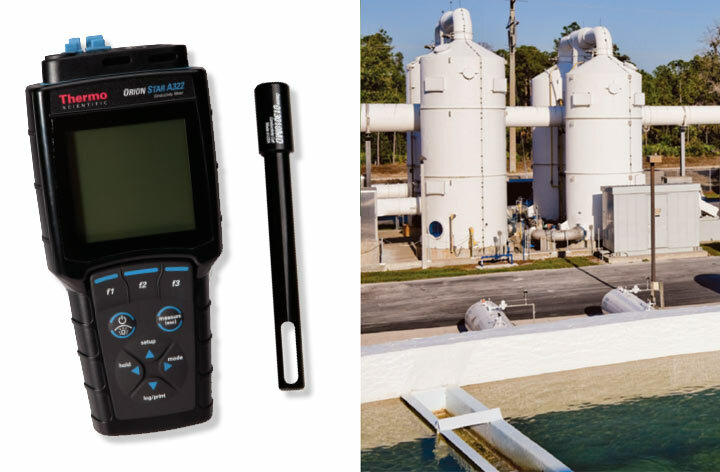 We offer REDOX meters that measure pH/ ORP values for environmental, industrial, educational & laboratory applications. 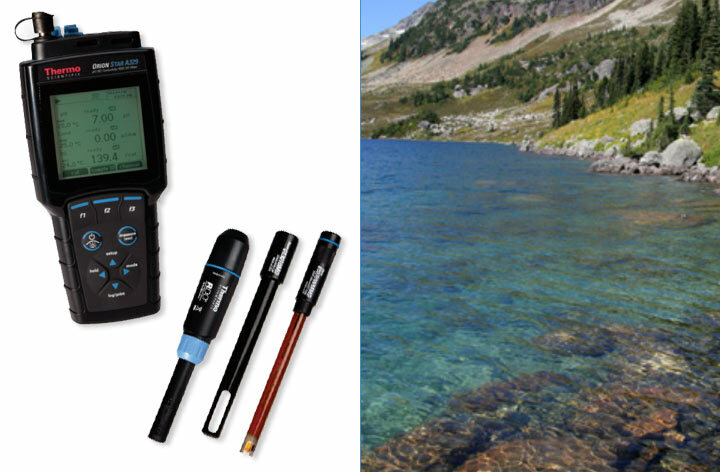 RS Hydro supply a range of portable water quality testing kits and colorimeters to measure conductivity, pH, ORP, total dissolved solids (TDS), salinity, turbidity, chlorine (free & total), ozone and chlorine dioxide. 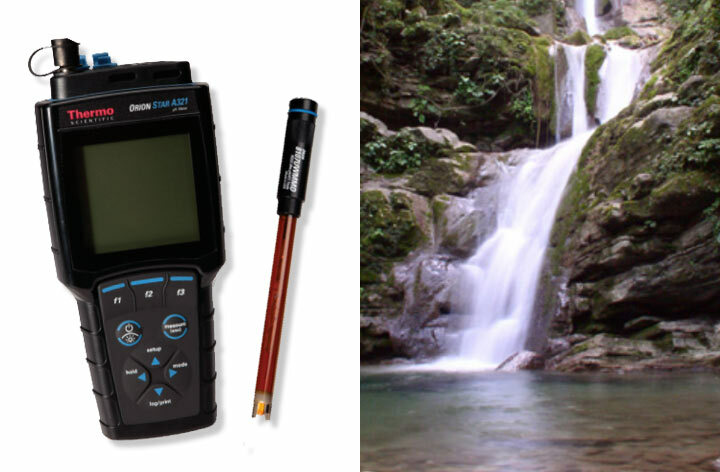 RS Hydro stock and supply a wide range of portable water quality meters, water quality testing kits and colorimeters. All of these are made by Thermo Scientiifc and Eutech Instruments. Our water quality meters will suit all budgets and performance requirements from basic pocket testers costing less than £100 to high specification multi-parameter water quality meters. RS Hydro is proud to be at the forefront of those supplying water quality testing equipment and services. 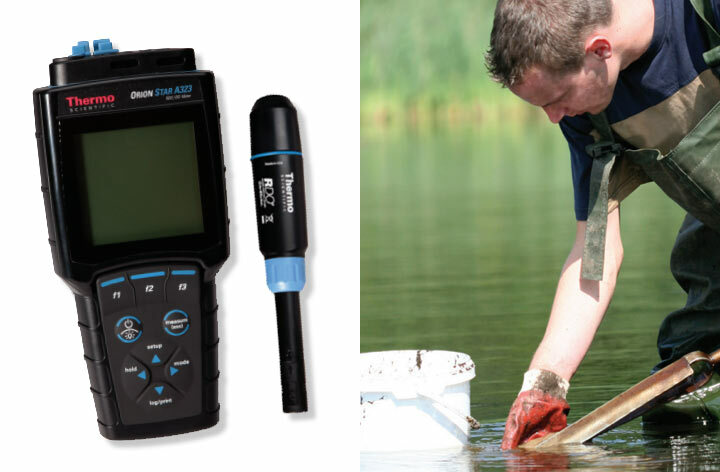 The Orion series of water quality meters is designed to offer highly accurate measurement of pH, ISE, dissolved oxygen and conductivity in the field. This range reinforces Thermo Scientific's reputation for introducing accurate, cutting edge products at a competitive price point. The Orion electrodes are highly sensitive and are designed for use in the environmental, pharmaceutical, food and beverage and consumer products industries. The range is divided into single parameter water quality meters, dual parameter water quality meters and multi-parameter water quality meters. 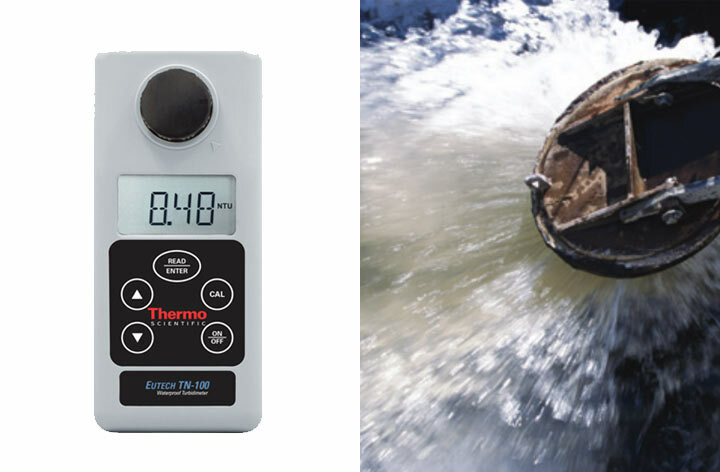 To ensure that these water quality meters remain at the forefront of current technology Thermo Scientific offer downloadable internet updates, keeping the meters up-to-date with the latest advances in the field. The RS232 and USB accessory option allows two way communication between the meter and a PC. This saves time in both loading methods and in reporting results from the water quality meter.